Cake Affection was born in early 2014 after we had fallen in love with many tiny and colorful sweet shops while we lived overseas in Europe. These delightful shops would enchant the moment you walked in with the sparkling glass displays of colorful treats- you couldn't help but smile. Our desire is to bring the same joy to every customer who walks through the doors of Cake Affection. From our exquisite, mouthwatering cakes, cupcakes and other treats to our sweet aromas that catch you when you open the door... we strive to change the way you think of sweets. All too often American sweets are way too sweet, and made with the cheapest ingredients. At Cake Affection, we use the finest ingredients like real European butter, imported chocolates from France, Switzerland and Belgium, and the finest vanillas from Madagascar. We cook everything in small batches to preserve our quality, just like they do in the small European shops we loved. We bake fresh everyday using real fruits instead of cheap imitation flavors and we use local seasonal fruits whenever we can. Our Gourmet Cotton Candy is spun fresh, in-house and we make all of our own sugars using only organic sugar. It's a long process but our passion shows in the quality of our products. 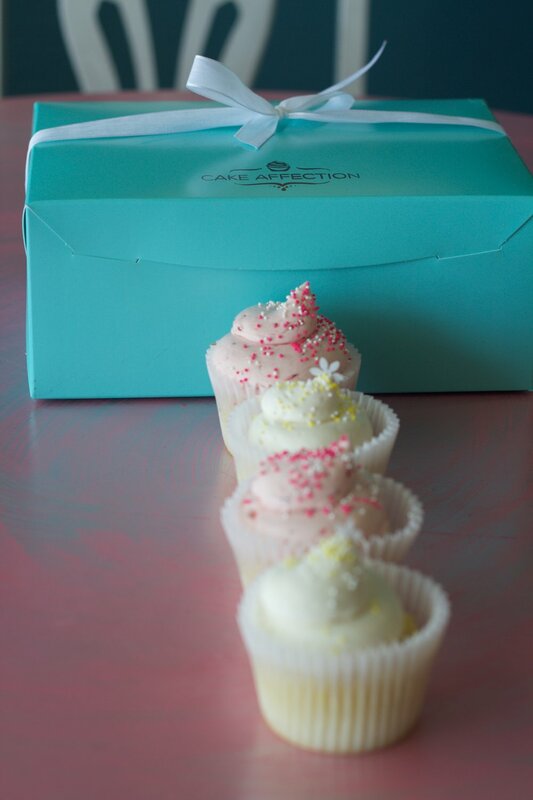 At Cake Affection we specialize in gourmet sweets like cakes, cupcakes, cookie sandwiches and colorful treats like our french macarons and our organic, gourmet cotton candy and handmade marshmallows. We offer a large retail display of fresh baked goodies for our walk in customers, and we do private events and large custom orders too. All of our sweets are handcrafted in house, nothing comes out of tubs here. We've said it a few times already but we'll say it again for good measure- we are passionate about our treats and know you'll taste the difference.